The American Society for Blood and Marrow Transplantation is an international professional membership association of more than 2,200 physicians, investigators and other health care professionals from more than 45 countries. In the early 1970s, only a few medical centers around the world performed stem cell transplants. As success rates improved and the practice expanded in the 1980s and 1990s, the need for a scientific and professional society dedicated to blood and marrow transplantation led to the establishment of ASBMT in 1993. Our association has been instrumental in numerous advancements in blood and marrow transplantation, as well as the development of stem cell transplantation regulations and standards. In 1996, with the International Society for Cellular Therapy, we co-founded the Foundation for the Accreditation of Cellular Therapy, an accreditation program for BMT centers. Driven by a clear purpose and governed by well-considered bylaws and effective leadership, ASBMT has grown from a few hundred members to more than 2,200. And today, numerous academic centers around the world have a transplant program. ASBMT is the professional association dedicated to improving the application and success of blood and marrow transplantation and related cellular therapies. ASBMT strives to be the leading organization promoting research, education and clinical practice in the field of blood and marrow transplantation and related cellular therapy. We want to hear your questions and suggestions! You can reach us in several ways. 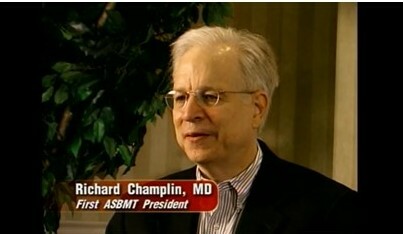 ASBMT provides an unparalleled opportunity to reach thousands of BMT professionals worldwide. Check out our advertising and sponsorship options — guaranteed to increase your exposure in the BMT field.